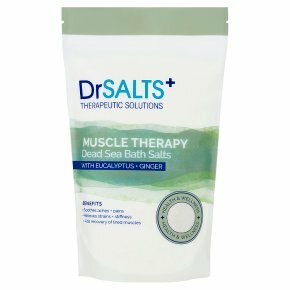 Directions for Use: For a bath, add two handfuls of salt to a warm bath. For concentrated use (for severely aching muscles), add half the contents of this pack. Soak for 20 minutes before rinsing. For soothing areas of muscle pain, add one handful of salt into a cup of hot water and cool the solution in the refrigerator for 20 minutes. Apply to the affected area and leave to soak in. Warning: For external use only. Avoid contact with eyes. Should this occur rinse immediately with water. Do not use on broken skin. If you are pregnant or breastfeeding, seek advice of a healthcare professional before use. Keep out of reach of children. Due to the high concentration of natural minerals and oils, product may vary from time to time and from batch to batch. This does not affect the quality or safety of the product.